Pets need their teeth cleaned just as humans do. 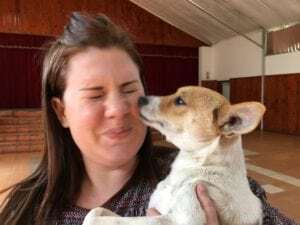 Few pet owners diligently follow this practice and that’s why 85 percent of all pets have gum disease and infection by the time they are 3 years of age. Like humans, if teeth aren’t cleaned regularly periodontal disease (gum disease) occurs. It starts when bacteria combine with food particles to form plaque on the teeth. Within days, minerals in the saliva bond with the plaque to form tartar, a hard substance that adheres to the teeth. The bacteria work their way under the gums and cause gingivitis — inflammation of the gums. Once under the gums, bacteria destroy the supporting tissue around the tooth, leading to tooth loss. This condition is known as periodontitis. Gingivitis and periodontitis make up the changes that are referred to as periodontal disease. Bacteria from gum disease can affect a pet’s heart, liver and kidneys. The inflammation caused by the bacteria can cause irreparable damage to organs, and serious, even fatal, illness. How do I remove the tartar? 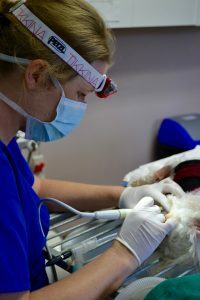 During a dental cleaning (sometimes called a prophylaxis), plaque and tartar are removed from a pet’s teeth, and the health of the entire mouth (tongue, gums, lips, and teeth) is assessed. A thorough dental cleaning is done while the pet is under general anaesthesia. This keeps your pet free of pain during the dental procedure and allows your vet to fully inspect the teeth and remove tartar from under the gums. 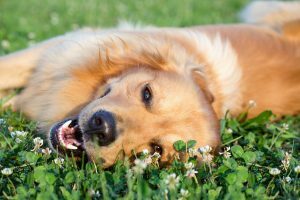 How do I know when my pet needs a dental cleaning? If you notice any of these signs in your pet, schedule an appointment with your vet. Your vet may recommend a plaque prevention product — a substance that you apply to your pet’s teeth and gums on a weekly basis. The product adheres to the teeth surface to create a barrier that prevents plaque from forming. 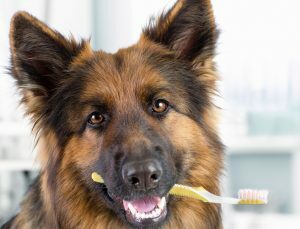 Just as in people, daily brushing can help remove food particles from between your pet’s teeth. Your vet or any EberVet Vetshop stock pet-friendly toothbrushes that make cleaning easy and pain-free. Never use human toothpaste. It contains ingredients toxic to pets. Pet toothpaste is available from Ebervet Vetshops in delicious meat, fish and malt flavours.